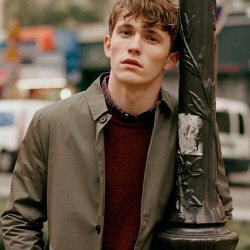 A few days ago I could report about the release of the new H&M Studio AW18 collection. Only shortly after I released the post, I got a chance to get my hands on a few pieces from the collection. So here is my interpretation of the collection. 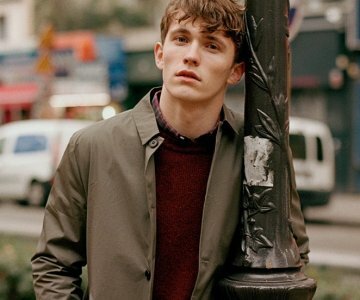 The styling contains a clash of preppy patterns mixed with a boarding school aesthetic and a hint of punk. Lastly, I focused on the ability to take your studies far away from the class room. To be honest, I am incredible proud of the outcome of this photoshoot. In fact it may be some of my best work. There is in particular one portrait that really stand out. See for yourself when you scroll down (after the next paragraph). Read also: H&M’s Studio AW18 collection is all you want to wear this fall! Usually when doing a shoot, I try to match the surroundings with the styling. However, having recently finished my masters degree, it sits freshly in memories, how it feels to miss out on fun, just because you have to study for tests, exams or well… your master thesis. Therefore, I wanted to portray a situation where you seek out the ‘fun’ areas, but are bringing all of your burdens. Simply just to allow yourself experiencing a gist of excitement, well knowing that you cannot engage fully because of your responsibilities. Its both uplifting, and incredible saddening. I assume that a lot of people feel that way whether you be a student or a parent. Vildt fede billeder! Og super fint outfit fra den nye kollektion.